Sports Direct International Plc is the largest sports goods retailer in UK. This company has over 670 stores across the world and it owns a large number of brands who are dealing in sports goods. This company trades under a Brand SportsDirect.com with its fashion and sporting brands. This company was founded by Mike Ashley in 1982 so it is serving the society from its services since 1982 and providing the best sporting products till now. Currently this company operates around 420 sport stores in UK. The main aim of this company is to deliver sustainable growth to its stakeholders (Sainsbury's, 2014). This company is focusing on maximizing its efficiency and effectiveness to provide the best quality to its customers and to look for more opportunities for the betterment of the company. The company’s strategy is to acquire more brand and enhancement of its properties and to enhance the range of its products and to remain on the top in the list of sporting brand in UK (Sainsbury's, 2014). 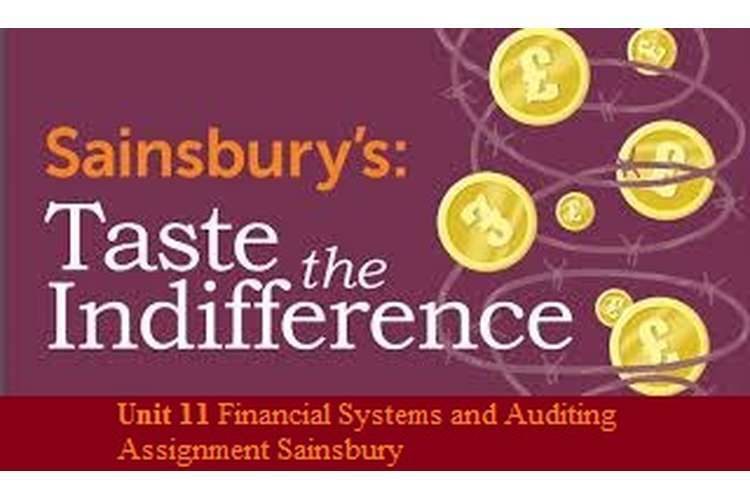 "Sainsbury's puts the convenience into training: New college develops leaders for expanding network of local stores", 2014, Human Resource Management International Digest, vol. 22, no. 5, pp. 20. Pollitt, D. 2010, "Hothouse training grows store managers for Sainsbury's: Supermarket chain develops internal talent", Human Resource Management International Digest, vol. 18, no. 5, pp. 5-7. As part of short term internship at Stock Mann Investments for the financial statement analysis I have chose Sports Direct and Sainsbury’s. The reason behind choosing these companies for my report is that both the companies are leading companies of UK with high revenues and both the companies belongs to the same industry that is customer retailing market. Both the companies are so well known and big companies of UK that their data will be easily available through the official website of the company (Akter, 2012). Team manager supported the idea behind choice of the companies. He further said for financial statements of the company annual report of the companies over the past years will be easily available on the official website of the company and further he said that approach that is to be used for financial resources analysis should be based upon ratios year wise so that this will be easy to compare the performance of both the companies. This report aims at conducting an analysis on financial performance of two companies. The first company is Sainsbury’s and the second company is Sports Direct. Both the companies are of same industry dealing in customer retailing market and both the companies are the leading companies in UK. The main aim behind this report is to conduct a research on comparison on financial performance of both the companies. Both the companies have extended range of operations and a large market where they are dealing both the companies are competitor of each other as they are serving the society with the same customer retailing market. This main focus of this report is to interpret the financial statements of both the companies and calculations of various ratios based on the financial performance of the companies and to use those findings of ratios to monitor the performance of the companies individually as well as in comparison to each other (Nazal, 2015). The approach used in this report on the basis of calculation of efficiency, liquidity, investment, profitability and other ratios as well as on the basis of the earnings, dividend and market price of the share. Both the companies are having high revenues and extended market and are dealing in the same industry of the customer retailing market. The information for the analysis of the financial statements is based on the financial data of both the companies over past three years which is 2014 to 2016. The information regarding the financial data is taken from the annual report of the company of respective years and the annual reports of the company are based on financial reporting framework, General Accepted Accounting Principles and all other regulations of accounting which every company has to follow is UK (Lim & Noh, 2015). All the information regarding both the companies had been extracted from the annual reports of both the companies which was easily available on the website of respective companies. It is the type of secondary which is been used in this report based on the annual reports of the company. First of all the information from the annual reports is extracted after it ratios will be calculated and then ratios of both the companies will be compared. After comparison the next step will be interpretation of ratios and then the final analysis of financial performance of both the companies on the basis of ratios and then the conclusions will be provided to the team manager along with the recommendations (Faello, 2015). Overall the reported based on comparison of ratios of the companies over past years to evaluate the trend which both the companies are following over past years. Asset Turnover: Asset turnover ratio is and efficiency ratio which is used to calculate the company’s ability to generate sale from use of its assets. This ratio plays a vital role in every company because every company’s success is depending upon how efficiently it can use its assets so this ratio shows the level of use of assets in order to increase the sales of the company (James & Garrett, 2013). Asset turnover ratio of Sainsbury’s is positive but has followed a declining trend. This shows that company is utilizing its assets to generate sale properly but still if we talk about the trend which company is following it is that it has a declining trend that assets turnover ratio is continuously decreasing from 2014 to 2016. This means company is increasing its sale from its assets but not at that level which it should have achieved. Asset turnover ratio of Sports Direct has a declining trend since 2014. The level of generation of sales from its assets is decreasing from past years but still asset turnover ratio of Sports Direct is always higher than Sainsbury’s. Inventory turnover: This efficiency ratio shows the efficiency of the company to manage its stock by comparison of time with its cost of goods sold. This ratio shows that how much stock is sold during a particular period. This ratio should have a high turn as it shows the relationship between cost of goods sold and sales as how much inventory do a company purchases and how much time the company takes to sell it. Inventory turnover ratio of Sainsbury’ has not maintained any particular trend this shows that company is doing well in converting its purchases into sale but still company does not have a increasing trend it has a static trend from past years even though it is good but this also shows that company is not growing its sales from last years it is neither growing nor declining (Lam, 2010). Inventory turnover ratio of Sports Direct shows that the Company is doing well with converting it purchases into sales but it is following a declining trend that means the growth if the company is decreasing in converting its purchases into sales. Profitability Ratios: Profitability ratios calculate the margin of Profit Company can earn from its operations. This ratio is very important for stakeholders to judge a company’s earnings. This ratio shows the return which company earns from its assets. Profit margin ratio: This ratio is also known as return on sale or gross profit ratio. This ratio shows the amount of profit which can be earned from sales of the company. It is a measure to know how efficiently a company can convert its sales into profit. Companies are tending to achieve higher profit margin ratio to improve their profits. Sainsbury’s has not followed any particular trend in profit margin ratio as in 2015 the company suffered loss in 2015 and in 2014 and 2015 it has a positive profit margin but still the ratio is not very much high as the company is leading company n customer retailing market in UK it should earn more profit margin (Connolly, Hyndman & McConville, 2013). The profit margin ratio of Sports Direct is increasing from 2014 till now this shows that company is working hard to convert its sales into profits even though the profit margin is not so much high but still if company follows a increasing trend in profit margin it will be tending to achieve high profit margins in upcoming years. Return on Equity: Return on equity ratio is used to calculate the amount of profit which company earns on investments of its shareholders. This ratio shows the efficiency of the company that how efficiently company can use the money of its shareholders. This ratio depicts the operations and growth of the company. It is a ratio calculated for investor point of view. There is no proper trend for return on equity over past years in Sainsbury’s. Over three last year's company has earned highest return on equity in 2014. Even though company is earning a positive return but still there is not any increasing trend in the company. Sports Direct has a declining trend on return on equity. This ratio is continuously decreasing over the past years this shows that company is not earning many profits on shareholder’s investments and even the company is not efficiently using the shareholders money to earn profits even after this declining trend Sports Direct is having higher returns on equity than Sainsbury’s (Tomczak, 2014). Quick Ratio: Quick ratio is also known as acid test ratio it shows the relationship between the quick assets and current liabilities of the company. This ratio shows the ability of the company to pay off its current liabilities with its quick assets only. Company with higher quick ratios are preferred the most. Sainsbury’s had not maintained any proper trend for its quick ratio even the ratios are very low this means company is not successful enough to pay its liabilities from quick assets. Sports Direct is following a proper trend in maintain its quick ratio over past three years and it is continuously increasing since 2014 till now and in 2016 the ratio is good enough that shows that company is capable enough to meet its current liabilities from quick assets only (Xia, Fei & Liu, 2015). Current Ratio: Current ratio shows the relationship between current assets and current liabilities of the company. This ratio shows the company’s ability to pay off its current liabilities from current assets. This ratio also elaborates how currents assets of the company can be easily converted into cash. Current ratio of Sports Direct has maintained an increasing trend over the past years and in the year 2016 the current ratio of the company is 2.43 which is very good this shows that company is increasing its ability to convert its current assets into cash (Ongore, Ogutu & Bosire, 2015). Debt to Equity: This ratio shows the relationship between debt and equity of the company. This ratio shows the financing of the company whether it is from equity or from debt. A higher debt equity ratio is a indicator that company is financed more from its debts than its equity. Sainsbury’s has maintained a higher debt equity ratio over past three years which means that company is financed more with its creditor’s financing rather than funds of its shareholders. This gives a negative impact about the company (Ezzi, Azouzi & Jarboui, 2016). Sports Direct has maintained a low debt equity ratio over the past three years this shows that the company has always preferred for equity financing rather than debt financing which is good for the company. Equity Ratio: This ratio shows the contribution of owners into financing of total assets. In other words this ratio shows that how much assets of the company are owned by its investors. This ratio indicates the solvency of the company. Companies with higher equity ratios are always preferred. Sainsbury’s has maintained a low equity ratio over past three years even there is no proper trend which is not favourable for the company. This shows that company is not sustainable and it is risky to look for future loans in the company. The equity ratio of Sports Direct is increasing since 2014 this shows that the company is following a good trend then Sainsbury’s as well as this is a indicator that company is sustainable and its is less risky to look for future loans in this company. Price Earnings Ratio: Price earnings ratio calculates the expected price of the share of the company by comparing the market price of the share with the earnings per share. This ratio helps the investors to analysis the prize of the share on the basis of current market price and earnings per share. Company’s which are having high Price earning ration are tend to be more attractive to the customers as it is indicated a good future performance of the company. The price earnings ratio in Sainsbury’s has maintained an improper trend where this ratio was negative in 2015 and which has increased to positive in 2016 but still the value is very low which will be less attractive for the customers (Klara, Melinda & Dorina, 2012). Sports Direct has maintained a good trend in 2014 but after it is decreasing till 2016 even after decreasing the price earnings ratio of Sports Direct is more than Sainsbury’s. The ratio was good enough in 2015 and 2014 and has decreased in 2016 but there is a scope that if company will grow the price earnings ratio of the company will also increase. Dividend Yield: Dividend yield ratio calculates the amount of dividend to be given to its shareholders on the basis of market price of the share. Sainsbury’s has declared dividend over the past years and the rate was same in 2015 and 2016 whereas Sports Direct has not declared any dividend over the past three years. Akter, S. 2012, "Employee Satisfaction of SAINSBURY'S An Exploratory Study",International Journal of Academic Research in Business and Social Sciences, vol. 2, no. 8, pp. 316. Connolly, C., Hyndman, N. & McConville, D. 2013, "Conversion Ratios, Efficiency and Obfuscation: A Study of the Impact of Changed UK Charity Accounting Requirements on External Stakeholders", VOLUNTAS: International Journal of Voluntary and Nonprofit Organizations, vol. 24, no. 3, pp. 785-804. Ezzi, F., Azouzi, M.A. & Jarboui, A. 2016, "FINANCIAL PERFORMANCE INDICATORS OF TUNISIAN COMPANIES: DECISION TREE ANALYSIS", Researchers World, vol. 7, no. 1, pp. 99-110. Faello, J. 2015, "Understanding the limitations of financial ratios", Academy of Accounting and Financial Studies Journal, vol. 19, no. 3, pp. 75. James III, R.N. & Garrett, S. 2013, "Financial Ratios and Perceived Household Financial Satisfaction", Journal of Financial Therapy, vol. 4, no. 1. Klara, S., Melinda, K. & Dorina, P. 2012, "CONTEMPORARY APPROACHES OF COMPANY PERFORMANCE ANALYSIS BASED ON RELEVANT FINANCIAL INFORMATION", Annals of the University of Oradea: Economic Science, vol. 1, no. 2, pp. 708-715. Lam, K.F. 2010, "In the Determination of Weight Sets to Compute Cross-Efficiency Ratios in DEA", The Journal of the Operational Research Society, vol. 61, no. 1, pp. 134-143. Ongore, V.O., K, P.O., Ogutu, M. & Bosire, E.M. 2015, "Board Composition and Financial Performance: Empirical Analysis of Companies Listed at the Nairobi Securities Exchange",International Journal of Economics and Financial Issues, vol. 5, no. 1, pp. 23.